hd00:34Dancing fountains show at night with modern city on background. 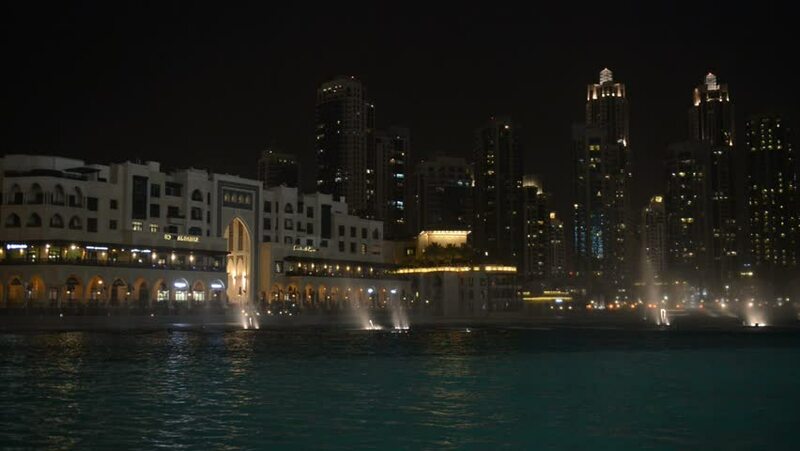 hd00:23DUBAI, UNITED ARAB EMIRATES - 20 AUG 2014: Dubai fountain music show. It is the world's largest choreographed fountain system set.